US News College Rankings is the ‘popular’ college ranking lists, but since they use questionable data that skews towards the Ivy Leagues, many professionals in the field want more, a better list, more information. Washington Monthly has given that to us. 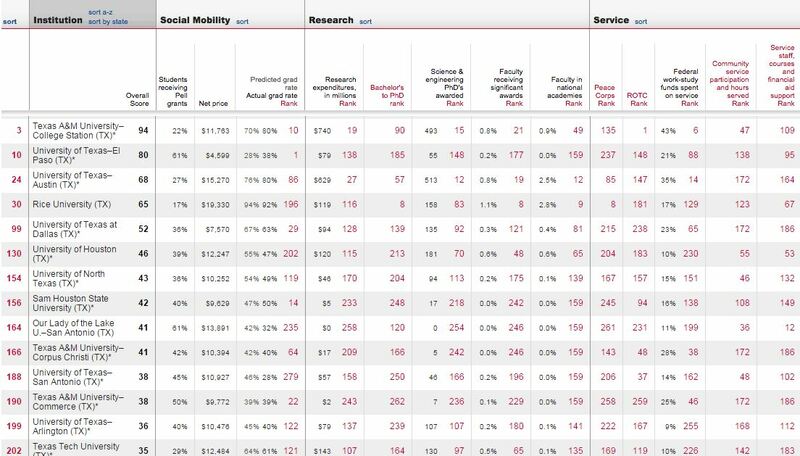 Using new criteria, Washington Monthly has developed a ranking system based on the three issues that are most important to higher education: social mobility, research, and community service. The low rankings of the private, religious colleges in Texas should point out that some schools don’t always practice what they preach: both TCU and Baylor ranked low on community service, low in faculty receiving awards, and low in faculty in national academies, while maintained an average cost of more than three times that of the public universities. Click here for National Universities. Click here for Liberal Arts Colleges. Click here for Masters Universities and Baccalaureate Colleges. 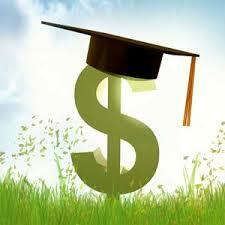 To learn more about our methodology for best-bang-for-buck colleges, clickhere. To learn more about our methodology for four year colleges and universities, click here. For more information about the overall goals of the rankings, click here.